OJ Simpson popularly known as, ‘The Juice’, had it all, a fantastic career, money, fame, loyal fans, and a worldwide popularity like no other. His career was soaring in a daily, with world records unmatched and accolades from all platforms he ventured into, his acting, anchoring, and broadcasting skills were all his crowning glory. One would have never thought that one of American’s heroes would add convicted felon to that list. Also one would have never imagined, that this impeccable sportsman would be the face of a trial so wildly publicized and gruesome that it is still talked about decades and generations after. In 1994 the world as we knew it was shaken and in shell shock at the developments that day, a celebrated hero was accused of mustering his wife and her friend in her home. The evidence found was straight forward but the prosecution was dicey and a bit shaky. After a lengthy trial he was acquitted and found innocent of all charges. Know for sure is that two murders took place. And after two decades of reliving this crime the families have not found justice for the death of their loved ones. Fast forward to 2016, television series developers Scott Alexander and Larry Karaszewski decided to put out a whole show based on the most influential crimes in American history. What better way to kick it off than the trial of the century? The TV series showing in FX stars Cuba Gooding Jr. As OJ Simpson, he portrays this role in such a brilliant form and is unarguably the best act for it. OJ as he is fondly called is still serving time in for a previous charge of robbery and Kidnapping. His case is one that will forever be on the lips of the general public, his celebrity status and the fact that his best friend was the father of America’s very own most popular entertainment family, The KARDASHIANS. His story is forever a challenge to tell, even as young minds when you go through the facts given to the public and documentaries on the Internet, you see how weak the prosecution was, and it leaves a lot to question. Why weren’t there other suspects in the trial? 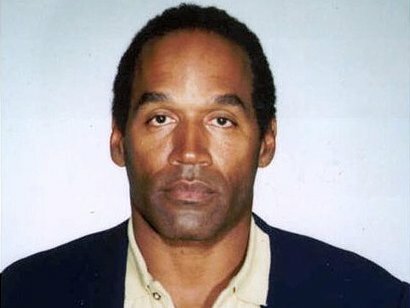 The evidence all pointed to OJ how was he still acquitted?